Oh, what a treat we have for you today! Stylish short gown designs by Michael Cinco! 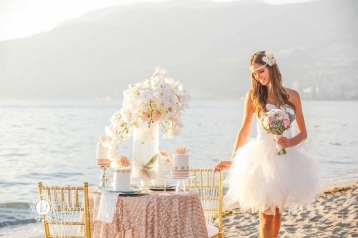 This beach bridal session is like a dream-come-true!